TORONTO, ON – Henderson Brewing has announced that it has acquired the Symington Saison brand from Katalyst Brewing, and has taken on production and distribution of the beer effective September 1st. 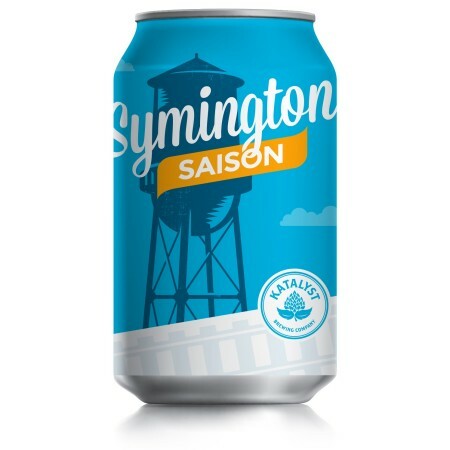 Described as “a refreshing, farmhouse-style beer with subtle notes of clove and citrus, and a slightly tart finish,” Symington Saison was launched in late 2016 with an event in the Henderson taproom, and was brewed under contract while Katalyst co-owners Mark Verok and Krystal Perepeluk scouted locations in Toronto’s Junction Triangle neighbourhood to establish a bricks-and-mortar facility. Unable to find a suitable location in Toronto, Verok and Perepeluk decided to move north of the city, and were set to discontinue the brand until Henderson stepped in with an offer to keep it alive. In a separate statement, Verok and Perepeluk say that they hope to find a location for Katalyst Brewing in the Muskoka region, with more details to be announced as plans are confirmed.